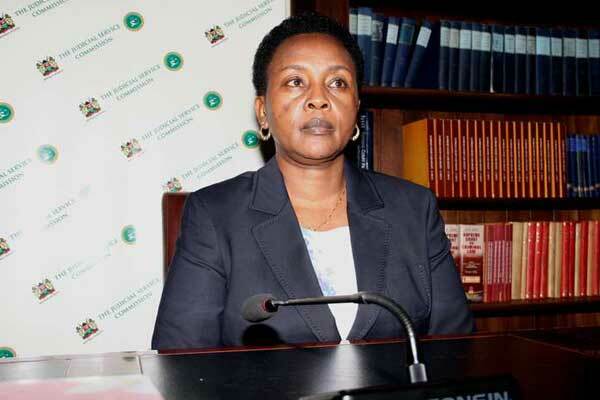 The JSC nominated Justice Philomena Mbete Mwilu for the position of Deputy Chief Justice. Justice Mwilu is a Court of Appeal judge. She has served in the Judiciary for 32 years.During an interview by the JSC, she will be remembered for supporting polygamy “as long as it enhanced peace in a family”. She also said that if appointed she would tackle graft at the judiciary, claiming that she was the best person suited to fight the vice. “I will set systems in place, strengthen them and also set others to prevent corruption,” she said. At the same time, she asked the JSC to increase the number of women in the Supreme Court to three. But Who Is Philomena Mwilu? Lady Justice Philomena Mbete Mwilu graduated from the University of Nairobi and was admitted as an advocate of the High Court of Kenya in 1984. She practised law in the firms of Muthoga Gaturu & Company and later Mutunga & Company Advocates. She worked as company secretary and headed a state corporation before being appointed as Judge of the High Court in 2007. Lady Justice Mwilu also served in the Commercial Division in Nairobi, at the Eldoret High Court and the Civil Appeals sub-division of the High Court, the murder section of the Criminal Division and later headed the Environment and Land Division of the High Court.